We all have days when we really need to be at our best. 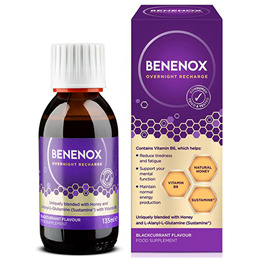 Benenox is a unique and patented combination of honey, Sustamine® and vitamin B6 which, when taken just before bedtime, helps you make the most of the next day. Benenox can be chosen as a complement to the diet by: people on the go, those facing daily pressures and those with busy and demanding schedules. 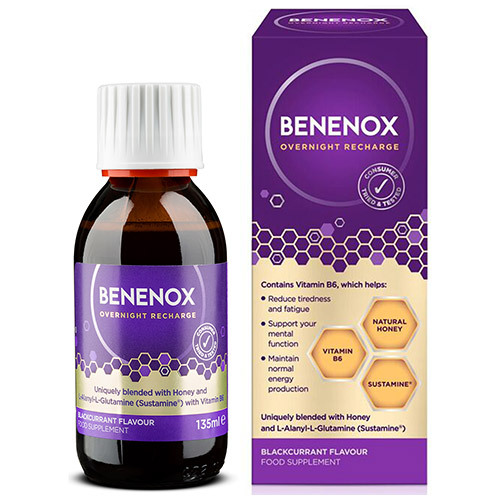 Below are reviews of Benenox Overnight Recharge - Blackcurrant - 135ml by bodykind customers. If you have tried this product we'd love to hear what you think so please leave a review.